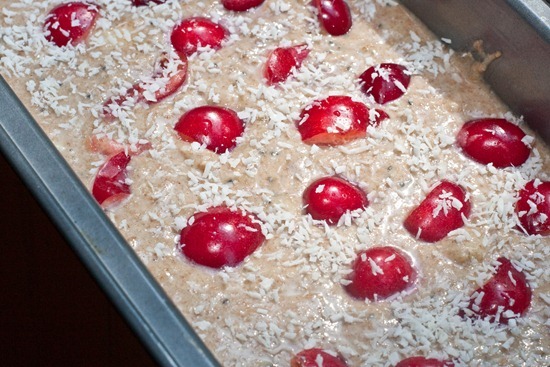 Cherry, Banana, Coconut Butter Bread. I think I should add FOOD to my list of inspiring workout tips. Some days, it’s just about the food, isn’t it? Today you could slice the air with a knife. We get all kinds of sickening humidity in Southern Ontario. However, I say, when life gives you brown bananas, make banana bread. I had a scheduled long run planned for today and as the clocked ticked it got hot, hot, hot. Morning workouts are really hard for me now because I am in the bakery around 6:30am and I am rushing to get out orders by noon. Getting up before 6 is not really an option since I am up until around 11pm most nights, so most of my workouts have been over lunchtime or in the evening! This makes for some sticky workouts in the summer I am finding. As I went on my run tonight, this cooked in the oven…while I cooked outside. Visions of sugarplums cherries danced in my head. Some days, food just equals motivation. Wait, make that all days. VOO parfaits are what get me up in the morning! PS- Mile 2 is a joke! I am just checking if you are reading this and not glazed over at the eyes in a heaping puddle of drool right now. :tongue: Mile 2 was actually 8:14! I also have to ask you, Does it count as a long run if the run FELT really long? I say yes!!!! I was pretty much the happiest girl alive during the moment this bread touched my lips. Not only is this bread everything I hoped it would be, but it was also the perfect post run snack and it didn’t need any Earth Balance spread. It was moist and dense but not overwhelmingly sweet. I wanted to make a tropical and moist healthy vegan banana bread that would be perfect for summer. I adapted this recipe from my Tropical Balmy Bliss Spelt Muffins. If you are a fan of dense sweet breads you will love this recipe. This is not a light and fluffy bread! Directions: Preheat the oven to 350F. Take the dry ingredients (flour, baking soda, baking powder, sea salt, spices, chia seeds) and whisk in a large bowl. In a small cup, place 2 tbsp of coconut butter in the microwave for just 10-15 seconds to warm. In a medium sized bowl, add the wet ingredients (banana, coconut butter, maple syrup, sunflower oil), reserving 1 small banana or 1/2 a medium banana for later, and mix very well, making sure to break up the clumps of coconut butter. Now take the banana you set aside and chop into 1 inch chunks. Stir into the wet ingredients. Now add the wet to the dry ingredients and stir until the flour is incorporated. Try not to overmix as spelt flour can become tough with too much mixing. 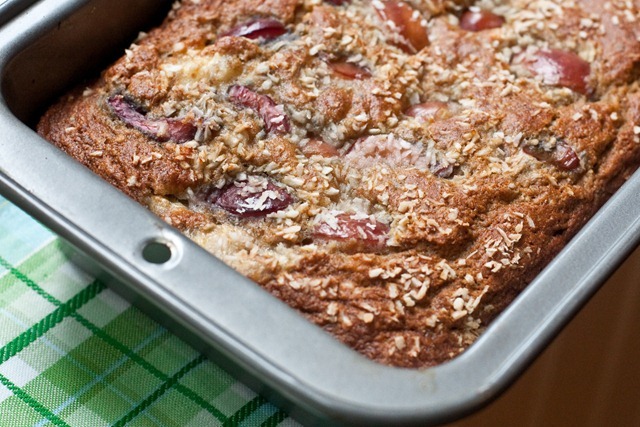 Pour the batter into a pre-greased loaf pan. Take your pitted and chopped cherries and add them on top. Sprinkle with shredded coconut. Bake for approx. 45 minutes or until golden brown. Note: My loaf fell a bit in the centre and wasn’t cooked in the centre, so next time I might cook it longer at a lower temp (perhaps 325F for 60-70 minutes). Remove from oven and allow to cool for about 15 minutes before serving. You could also add in pecans or walnuts! I made it without, but they would add a nice crunch! I will be making this again and again and again. Possibly for the market on Saturday!? So what did the man of the house have to say? He kills me, he really kills me. In conclusion: Make this bread. Stuff your face with a slice of it after a very hard, sweaty run. 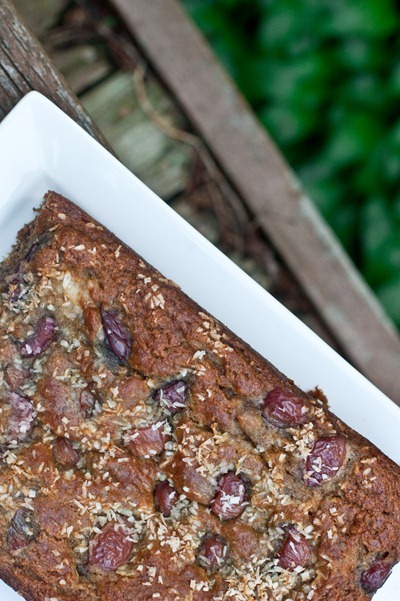 If you love moist, delicious, dense, and super healthy sweet bread you will love this summertime snack! Tonight’s question: Does food ever inspire you during a workout? What food could inspire you to workout on those days when nothing else could? Funny thing is, I totally wasn’t paying attention to your split times. I really WAS drooling over this magical sweet bread of yours. I need to make this asap. I have no doubt that it tastes incredible, but it just LOOKS so beautiful, too! oh DAAAAAAANNNGG… that looks amazing. I totally work out for food. :) usually pizza. Eric is awesome. I want to hang out with you guys and have some great conversation. I never thought to add coconut to banana bread… brilliant! I always have to freeze any bread of muffins that I make too to help me with portion control! Otherwise, things would be gone within two days! Oh, my God. I just had a mouthgasm. I do that all time! I remember one particular humid run last summer, the pomegranate chobani waiting for me in the fridge definitely made me speed up! mmm yummy, that looks incredible! That’s moving right to the top of my “to bake” list. Wow Angela, this bread looks incredible! You and your cherries and bananas have me thinking of all the ways I can use the same combo! Brilliant ideas! Food can inspire…anything! So yeah, I think a workout could fit into that ;) I like thinking of dinners on my runs. Different combos, wine pairings, etc. That’s motivation! I’m always substitutin’ recipes up – so I appreciate the suggestions in your delicious looking recipe here. Can’t wait to try! why are you so awesome? I am definately making this for someone i am smitten about, is that lame? Haha, well i know I will love this bread. Can’t wait to make it! I run for peanut butter! Almost everytime I get home from a long run I indulge in some yummy peanut butter and a bagel with a banana. Yum! Otherwise is a delicious smoothie..together would be double yum and a 1/2!! Really…all I can say is WOW!! That looks so delish! Yeppers, that would surely motivate me during a workout, for sure! I will be making that soon! WOW, thats some serious bread. I would totally sprint for that! 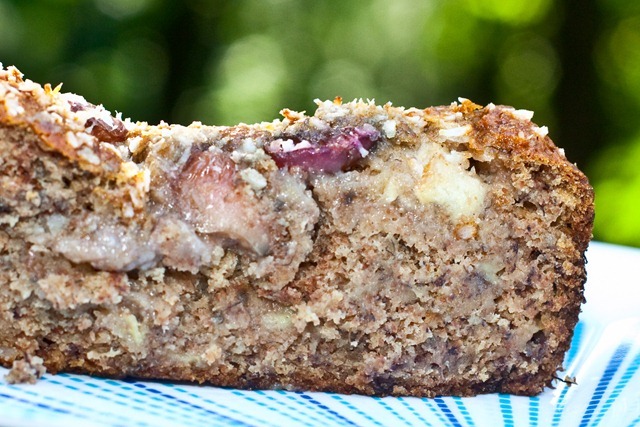 Do you think buckwheat flour or amaranth flour would work? Im not sure, I have never baked with those flours before! Well I guess it doesnt hurt to try. I’ll let you know how it turns out. Thanks! WOW! That bread looks REALLY GOOD! I can almost taste it! My workouts are often a place where I create meals, think of new wardrobe ideas or even new makeup styles. Sometimes I need LOTS of distraction to get me through the entire workout- other days I don’t think of anything but the workout itself. mmm, that bread looks amazing! 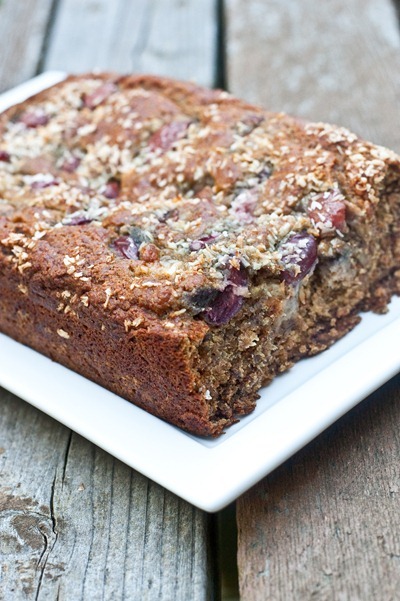 I love a dense loaf, and banana bread is a favourite! 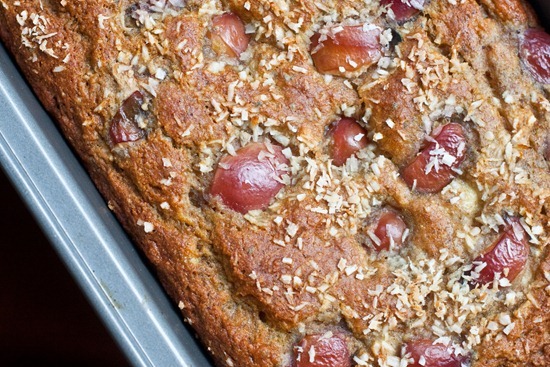 Sounds even better with coconut and cherries! I’ve been on such a baking kick lately, and it’s made my 1000 degree top-floor apartment even hotter. No really, I can’t wait to make this! Baked goods always ease the pain of summer heat. Lol. Thanks for putting up this amazing-looking recipe. I love that recipe and Eric’s right about the choc. chips. I love baking with coconut butter, it makes everything better. the bread looks delicious and I do not like bananas, cherries or coconuts ahahaha :)..And by the way Sunflower seed butter is GLORIOUS in green monsters, you need to try it asap!! You’re a lil’ speed demon – awesome run! I shall do as ye ask and make that bread! Oh my good lord! I bookmark special recipes to make on days when I am dreading a run (aka long and hard). Usually the recipes are something that would be too heavy for me on a normal day, but with a jacked appetite I would enjoy it more. When I saw you tweet this, I was amazed & now I’m seeing it. WOAH! Girl this is incredible, out of this world incredible. I can’t believe how perfect this sounds. I’ve bookmarked this beauty & will try it soon. I did notice the split time . . but I just thought maybe you REALLY wanted the bread bad!! Can’t believe I have logged onto read this right before I am thinking about bed. 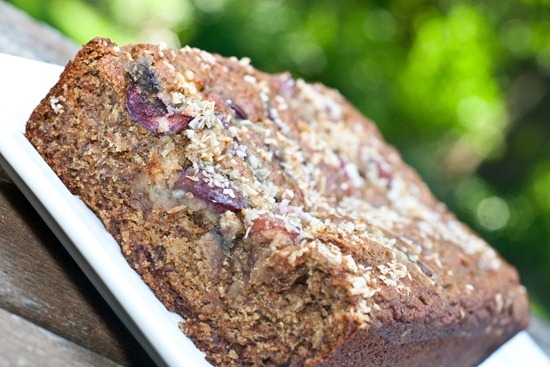 I love banana bread and many of it’s variations – this looks SO good!! haha yup that is so me some days! What a lovely twist on banana bread! Running for food is great motivation, for sure! 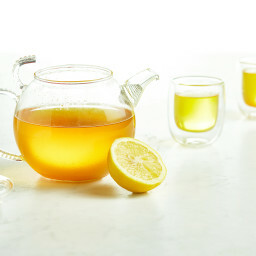 Do you think agave nectar would be a good substitute for maple syrup? Hmmm not sure. I am not huge on the taste of agave, but it might be worth a shot? You might have to use less as I think it is sweeter per tbsp than maple syrup isnt it? Wow I love the idea of a flat pan! Or even a PIE pan. Or muffins. That sounds delicious! Does it top VOO with Banana Soft Serve? Who knew something that killer good could also be good for you! VOO gets my vote for best post-run food (just in case you ever held a contest on such a thing!). You keep giving us inspirational thoughts and food! Love it! That would be like choosing between two children! Oh YUM this bread looks AMAZING!!!!! But is there anything you could use in place of cherries? 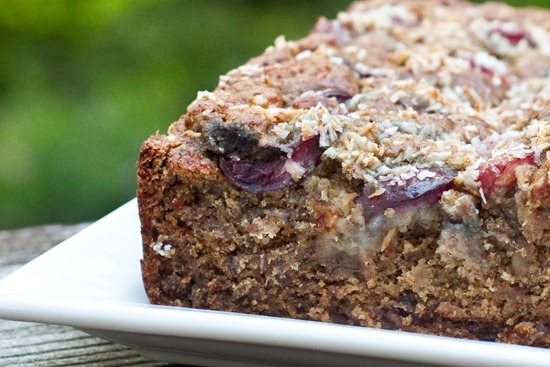 I love moist, dense breads like this but I’m not a huge fan of cherries. You could use any type of berry…blueberry, strawberry would work well. Um, Do you suppose I could skip the traditional wedding cake and serve that baby? Drool. YUM! I love all things coconut. I spend at least 75% of my long runs contemplating how I’ll refuel. It usually involves peanut butter! OMG I read your splits like 3 times and was trying to figure it out haha! Angela – this is brilliant! A batch will be making an appearance at our house very soon I suspect!!!! haha. I’m with Eric! Banana chocolate chip bread is the best. This looks pretty amazing though. Ahhh, coconut bread SO reminds me of summer! Yum! That bread looks AMAZING!!! Can’t wait to make it! WILL RUN FOR BEER! Come to think of it I think Eric had a beer after our run last week, lol. Girl, I think that is the best looking bread I have ever seen in my life! hahaha sorry I feel bad now! I think I would marry this bread…if possible haha. Looks DIVINE!!!! That recipe looks great! Now I will have something new to do with all the banana’s I get from work! :P Thank you for sharing! And I’m with you, today when I ran up the longest hill I have ever seen (or it seemed like it was at the time), all I could think of was. Sandwich. big. sandwich. mmm that looks so good! 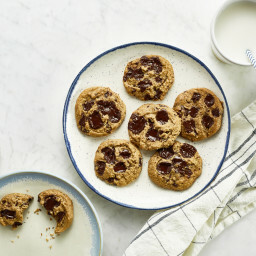 You are a baking genius girl! seriously- you crack me UP! I feel like your food would taste so good because you put so much excitement into it!! 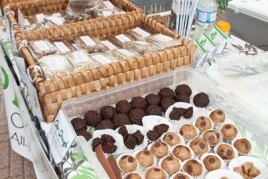 I think If i ever come to canada i would have to have you cook me your wonderful goodies! but quick sub. Q , can you use coconut oil instead of butter or no?? i do not have coconut butter and it can be pricey…. As for food motivation- I have trouble eating before a run ( i can’t eat or drink at min. an hr . before or i risk crampy stitchyness!!!) but food motivation during a workout..i’d have to say i don’t crave too much while i run!! i don’t get too hungry immediately after a run..but a while later…i could eat a horse! HOLY MOLY!!! This looks freaking unbelievable! I get just as excited as you about food…especially great genius creations such as this. Definitely motivates me!! This recipe is so amazing! But what else is new, yours are always like this. Unfortunately, food is my motivation for most things…including getting out of bed! Because I run at dawn without eating anything beforehand (tummy troubles mean that I can’t handle food until a good few hours after getting up) I’m a hungry hungry hippo when I get back home. I love to run anyway, but I won’t lie: the last half I’m always planning my breakfast and dreaming of a huuuuge bowl of protein quinoa/protein based GM/cereal and a protein shake. I’m obsessed with Sun Warrior Rice Protein so I’d say that motivates me to work out no matter what. I do have problems with using huge meals as a reward and then overstuffing myself as a result though. It’s something I struggle with a lot, particularly in terms of guilt over how much I can eat/overeat. It’s a work in progress. You’re a star for still running after such a busy day and in such intense heat! I need to try the sun warrior protein! Holy bread, batman!!! That looks fantastic! This looks amazing. 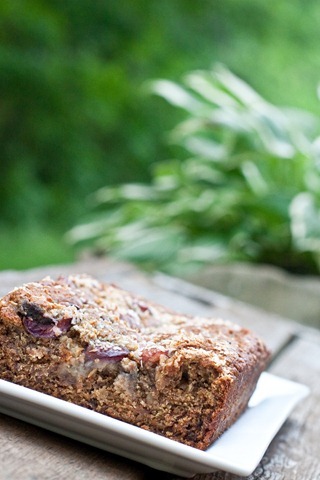 Banana bread is my favorite type of dessert/breakfast (okay ANYTIME) bread. Your additions sound absolutely amazing! That bread looks amazing! I’ve made lots of sweetbreads (and muffins) as well, I love how you can add what you want or have on hand and make something new and delicious! I’d love to make one with cherries. ohhhhhhhhhh my!! 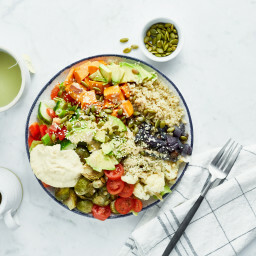 this looks delish!!! yum! Oh my gosh I need this bread in my life!!! And this absolutely justifies going out to spend $15 on Artisana Coconut Butter just so that I can make it! Sometimes I motivate myself by saying I can have Booster Juice after a workout. And that bread looks delicious! I wasn’t paying attention to your times. I was fixated on that drool-worthy bread of yours! Oh man…that looks awesome! I don’t have coconut butter…do you think coconut oil would work instead? Haha, food is always at the time of my workout motivation list! I can’t remember food inspiring me much during a workout in awhile, but I do always get excited to eat after a workout. Something so satisfying in that moment. LOL That bread looks good. I wonder what other fruit would work well in it. I’m not a HUGE cherry fan. Hahah I love Eric’s comments! That looks great – it would make me run faster too! Since I work out early in the morning, I usually look forward to enormous Green Monsters when I get home. That – and overnight oats if I’ve prepped them the night before! OH WOWOWOWOWOWOWOW! Going to make this bread ASAP! thanks for this recipe! i was actually trying to figure out what to do with 2 frozen bananas just last night. i HATE bananas (no clue how they ended up in my freezer or how long they’ve been there…) so this will be perfect! I tried that in the past too, but it didn’t work because I wanted to be on the same schedule as Eric. He doesnt get home from work until very late, so we only have a few hours to spend together each day! oh.my.word…that bread looks like heaven!! The bread looks great! I think I might make some today but I will have to make some substitutions. What do you think you could use instead of coconut butter? Would a nut butter work? yes I think nut butter would work…awesome idea! I work out in the morning. When the going gets tough I dream of what to have for breakfast when I get home. Today it was a wheat bagel with mashed banana, maple almond butter and cinnamon. THAT kinda brekkie inspires me to keep pushing on! im not sure about the other types of flour, might be worth a shot. My mouth is salivating as I read this blog…..bwwwaaahhhhh! I am in love I believe with this good looking bread. Gonna have to make this ASAP!!! I have a huge bag of fresh cherries, the only way I will eat them, so there you go, just gotta figure out how to get that coconut butter. Ahhh, I know, I’ll make homemade coconut butter…yea that’s the ticket! Hmmm, I’m with Michelle on Will Run For BEER! LOL! On a more serious note, you have gotten me hooked on juicing, so that is what I think about when I do my long runs on Saturday early morning with my group. I pre-cut my veggies for my juice and just remember how colorful they looked the night before and how delish they will be going down. My AM runs during the week, I usually do not fuel up as I am out the door at 5am, I just look forward to my breakfast once I get to my office. Yummy, usually VOO or a green monster! Yahooo! Now, I just printed off the recipe for this bread and that shall be my dessert this weekend! dang, I am definitely an engineer. I sat there for at least 2 miuntes trying to figure out how those splits came out to a ~8:30 min pace. Haha, I was like, “wow, that’s obviously a typo!” ….and then I kept reading. nerd alert. This is currently in the oven, I think I made a mistake! For the wet ingredients I was supposed to mush the banana before I incorporated it in the dry ingredients right? doh! Because I cut it into chunks instead, t’was an early morning for me. I am bringing this dish to work. In the directions it said to mush the coconut butter, maybe you meant banana? Angela! it still came out great! yum! I am making this bread now! I used coconut oil instead of coconut butter, so I hope it comes out!! I have to tell you, I have been dreaming about this bread! I need to make it soon. My husband officially thinks I have lost my mind when I said I was dreaming about this bread I saw on Oh She Glows! I’m buying the stuff and making it this weekend! 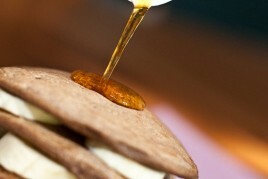 I really want to make this, but I can’t afford to use that much maple syrup. If I used sugar instead, would I have to add more liquid or, say, soy yogurt in place of the maple syrup to make up the moistness? I just made this tonight! It’s not quite as dense and moist as yours is.. I ended up cutting the maple syrup (I used honey) by more than half, because my bananas were SUPER ripe. I also used Cacao Bliss (which has agave) in place of the coconut butter. 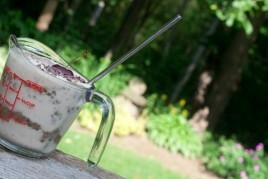 My last substitution was a tablespoon of ground flax in place of the chia seeds. Do you think the lack of honey/maple syrup caused it to be a bit drier or the flax? Hmm did you use spelt flour? I have heard of a couple ppl who used whole wheat and it turned out drier. My guess is that it would have been due to cutting the maple syrup (or in your case honey) in half. Perhaps you would also have to reduce the cooking time when making those adjustments (cook it for less time?). I left out the oil (since I try to cook as fat free as possible), though I did use the coconut butter (which I made myself…great idea of yours!!!). I also modified the baking soda and baking powder amounts to 3/4 tsps each and mashed up all the bananas with a potato masher. I added a lot more cherries to the batter: scooping half of the batter into the bread pan, layering in some pitted cherries; scooping the other half over and arranging pitted cherries on top. The bread was fabulous and not gooey in the least. Great Recipe! this bread is great! I have made it 2 times now, and thought you might be interested in a substitution I made: We have a similar cake/bread recipe in our family (cherry-cinnamon-cake) and it becomes extra moist and light at the same time by subsituting half of the flour with rolled oats! So that’s what I did, and the bread turned out fabolous. And because I’ve read that some people have been wondering about other types of flour: I had to use whole wheat flour, and if you do that you need to add quite a bit of liquid (apple sauce/water/milk) and reduce the baking time. I made this the other day and it was the most delicious thing ever! Thanks a million for the recipe, love it! 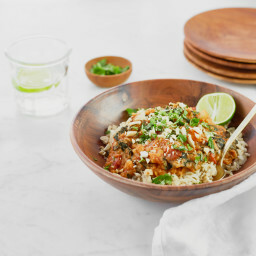 Hi, this recipe looks fantabulous and I am excited to try it! Could I sub the coconut butter for something else if I needed to though? Also, what other recipes would you recommend for freezing. I am having a baby in October and need to get on the freeze train! :o) Thanks! Thanks! it looks great! can’t wait to make it! 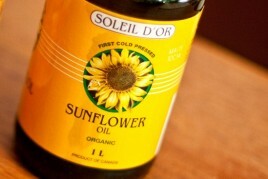 Hi Gen, you could sub canola and grapeseed probably (I havent used grapeseed oil but I heard it’s light in flavour?) I use whole chia seeds, but either should work. I just discovered your blog and made this bread yesterday. WOWWWWW!!! My best friend and I ate half the loaf in one sitting! I live a Paleo lifestyle, so I made some substitutions, but man, it was super moist and AMAZINGLY delicious!! I’m officially a huge fan of your recipes! & I can’t wait to try your Pumpkin Butter Swirl Butternut Pecan Bread- that sounds absolutely phenomenal! Anyways, for those who would like to know, I used the same amounts of almond flour, coconut oil, and dried cherries. I’ll say it again- AMAZING!!! Glad to hear that Chrissy!! I really like this recipe. The first time I used Spelt flour, using strawberry instead of cherry (that was what I had with me). The second time I used All purpose flour (King Arthur). Surprisingly the result is different. Using spelt flour will result a nice moist n very soft bread, using All purpose flour made the bread to rise fully n the result isn’t a moist bread. But both ARE really GOOD. I’m new to baking. Thanks Angela, your blog has helped me a lot!! Hi Angela, hope you’re well! 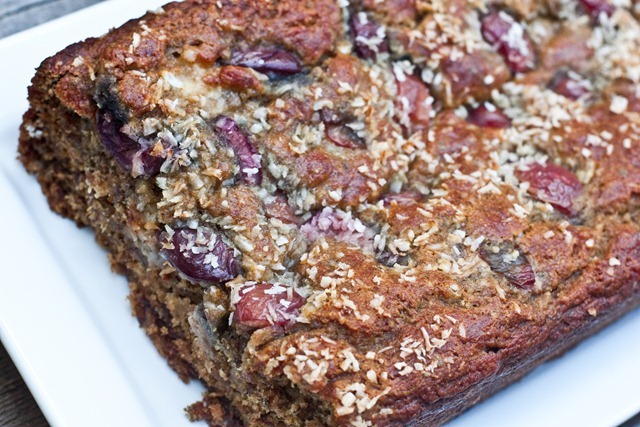 I’m excited….going to try this recipe today with the boatload of overripen bananas I have from the summer heat! I made this last night, Angela! It was yum. THANK YOU!! I LOVE your recipes. They are full-proof. I made your stuffed shells last night for the third time and made sure this time to double the recipe and freeze a bag of “ricotta” stuffing for later! When I came home from work the whole dish from last nights dinner was empty. My boyfriend goes nuts for those shells every time. 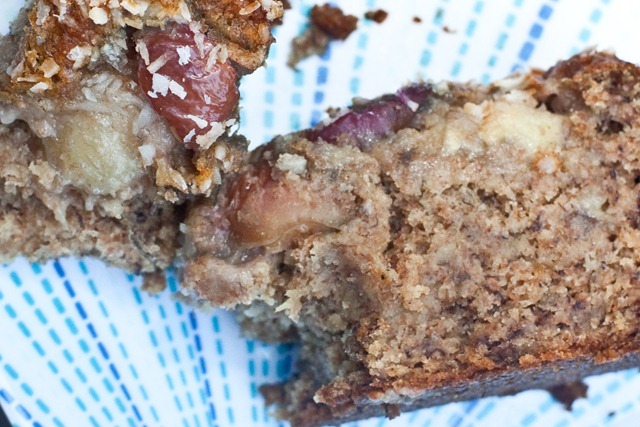 This afternoon I decided to make this banana bread but I tweaked the recipe a bit. Instead of coconut butter and sunflower oil I used earth balance and grape seed oil. To make it more grainy, I used whole wheat flower and 3/4 cups oats and bran, and added some flaxseed in addition to the chia seeds. Finally, I substituted blueberries for cherries and added chocolate chips. The batter is BOMB diggity. I followed your instructions and adjusted the temp and baking time. I can’t wait until it comes out of the oven! Only 30 minutes to go! Could I use frozen cherries instead?? I just so happen to have some and would love to try this!